The RZA, Hans Zimmer Teamed Up to Score Vin Diesel’s Babylon A.D.
And add one more name to the film’s composer pot, Shavo Odadjian, the bassist for System of a Down aka “kids these days, I’ll tell ya.” That seems like a lot of effort/talent for a movie that hasn’t exactly put Geekdom on drool alert. RZA added that Tarantino has been holed up like a squirrel for many months—working on Inglorious Bastards, probs—and that he still mentions doing something more with Kill Bill, but, like a girl who leaves ya hangin’ on the phone, we all know how that goes. Discuss: Where is Babylon A.D. on your radar? Anticipating the score? 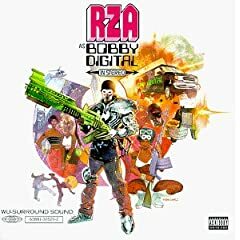 What’s your fave work by Zimmer/RZA?